The Italian as well as the international press give ample coverage to the new Salvini bill, while a report shows a surge in deaths at sea despite a drop in the number of attempted crossings: 8 migrants lose their lives every day in the Mediterranean. Almost 900 migrants have died at sea over the last four months, with September seeing the highest death rate ever recorded in the Mediterranean: nearly 20% of those who attempted the crossing in that month are reported dead or missing. 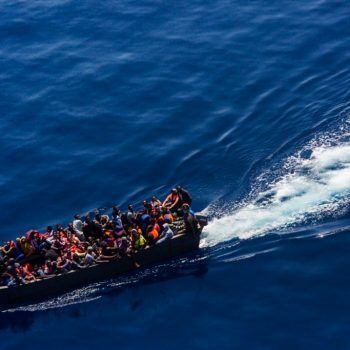 According to data released by Istituto ISPI, there has been a sharp drop in departures from Libya, but an average 8 migrants are dying every day in the Mediterranean. As Europe prepared to commemorate the shipwreck of October 3, 2013, where 368 migrants lost their lives off Lampedusa, the data released by ISMU remind us how there is no end to deaths at sea: over 17,000 migrants have lost their lives or gone missing in the attempt to cross the Mediterranean to reach Europe. New tragedies have been reported in the Aegean Sea, where at least 5 migrant died after their boat capsized in rough waters, and Morocco, where a woman died and three others were wounded when officers from the Moroccan navy opened fire on a speedboat carrying migrants. The Salvini decree on security and immigration, which was approved on September 24, was widely debated in the news last week. Vice’s Claudia Torrisi and Internazionale‘s Annalisa Camilli wrote about the new measures, collecting the opinions of experts, researchers and activists, and listing all the criticisms to the new bill. The foreign press also covered the decree: BBC News wrote “The Italian government has passed a decree which will make it easier to deport migrants and strip them of Italian citizenship.” According to the Guardian, Far-right leader’s decree would suspend asylum process for the ‘socially dangerous’, something that was also noted by Al Jazeera, while Deutsche Welle focussed on the elimination of humanitarian protection, to be awarded only on six strict criteria. 3. What is changing for Italy’s asylum and SPRAR systems? Among the measures introduced with the Salvini bill, one of the most widely criticised has been the weakening of the SPRAR network. Only those who are already entitled to international protection and unaccompanied foreign minors will be allowed to access it. According to Matteo Biffoni – the ANCI delegate on immigration and mayor of Prato – the government has decided to “downsize the asylum system in favour of the emergency approach of first reception centres”. “The effects of this measure will be the opposite of its stated goals, and it will prove ineffective, by producing more irregular migrants,” said the mayor of Bologna, Virginio Merola. Far from adopting an emergency, assistance-oriented approach, the SPRAR system was regarded as a fully functional, innovative model, as we explained in this article. 4. What will happen to migrants excluded from Italy’s asylum system? 42 informal settlements housing 6.000 to 10.000 people, half of them without water or electricity. These are the figures from the updated “Out of sight” MSF report on migrants and refugees excluded from Italy’s reception system. 80% of them have a regular permit, and 3,500 of them live in Rome alone. Eleonora Camilli and Giacomo Zandonini visited one of the largest Roman settlements, a former penicillin factory with critical living conditions. After spending several days out at sea, the migrants on board the Aquarius have finally reached Malta. They were transferred to the island after Panama revoked its registration – making it impossible for the ship to exit any port after docking – and after France refused to allow it to dock at Marseille. 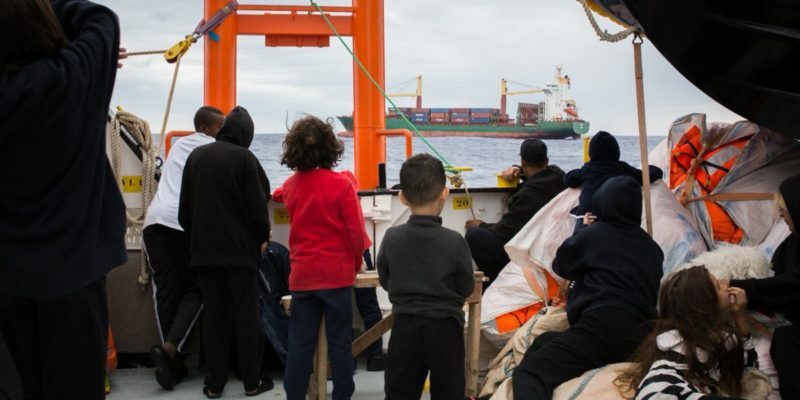 After a few tense days, an agreement was reached: as Malta consented to the transfer of migrants, France, Spain, Germany and Portugal said they will accept the rescued migrants. The agreement, which was also hailed by the UNHCR, allowed the 58 migrants to disembark; with the addition of a dog named Bella. Meanwhile, Spain has rescued 466 migrants who had attempted to reach Europe from North Africa on 10 boats, while the NGO Proactiva Open Arms has announced that the Astral is again headed to the Central Mediterranean, ready to rescue migrants sailing from Libya. Twenty global companies have announced their commitment to supporting refugees and host communities by providing a range of opportunities including jobs, training and investments. “The global refugee crisis is not something that NGOs and governments can solve on their own,” said Hamdi Ulukaya, founder of the Tent Partnership for Refugees, a partnership of companies aimed at mobilising the private sector to improve the lives and livelihoods of the more than 25 million men, women and children forcibly displaced from their home countries. “Now more than ever, we need businesses to step up and act“. The partnership will launch a series of projects around the world, with a special focus on employment in Jordan. Significantly increasing the amount of money awarded to migration and border management; ensuring that the integration of asylum seekers does not fall between the AMF and the European Social Fund Plus. These are some of the points of the European Commission proposal on the Asylum and Migration Fund (AMF), as commented in a recent paper by the ECRE. The European Commission’s proposal is currently being negotiated as part of the legislative proposals for the next EU Multiannual Financial Framework (MFF) 2021-2027, which sets the annual amounts of spendings in the EU budget and how the funds are divided among each broad policy area. Paolo Riva had carefully analysed the MFF for Open Migration. The UNHCR’s 2018 Nansen refugee award was presented to Dr. Evan Atar Adaha for his committed service at a hospital in war-torn South Sudan. 52-year-old Adaha is the first and only surgeon at the Maban Referral Hospital, a 120-bed and 2 operating theatre facility located in Bunj, a town in the southeast corner of South Sudan’s Upper Nile State. It is the only functional surgical facility in all of Upper Nile and now includes a neonatal section and a tuberculosis ward. It serves as a lifeline to over 200,000 people, including 144,000 refugees from the Blue Nile state. A 43-year-old Syrian national, who had crossed the border from Bosnia and Herzegovina into Croatia illegally, has filed a missing person’s report claiming he was forcibly separated from his 5-year-old daughter by Croatian police. He said he was stopped while he was trying to buy some provisions in a grocery stop at Smoljanac, and that police made him go back to Bosnia and Herzegovina without his daughter. Dragan Umičević, an activist with the Croatian NGO “Are you Syrious?”, was sentenced to pay a 60,000 kune (about 8,000 euro) fine for helping a family of asylum seekers at the Croatian border. According to the NGO, the verdict is “state revenge for the little Madina case”, referring to the six-year-old child killed during an illegal expulsion from Croatia in November 2017. Central Mediterranean, Bangladesh, Niger: as world leaders are hoping to adopt the Global Compact on migrants by December (here you can read Marta Foresti’s analysis on the importance of the Compact), refugees are still paying the price of political contradictions: too many governments are quick to champion humane migration but slow to make it happen. Francesco Rocca, president of the International Federation of Red Cross and Red Crescent Societies and head of the Italian Red Cross, explained in the Guardian why, as a representative of the world’s largest humanitarian network, he is going to take every opportunity to press for actions to match words on safe, orderly and regular migration.